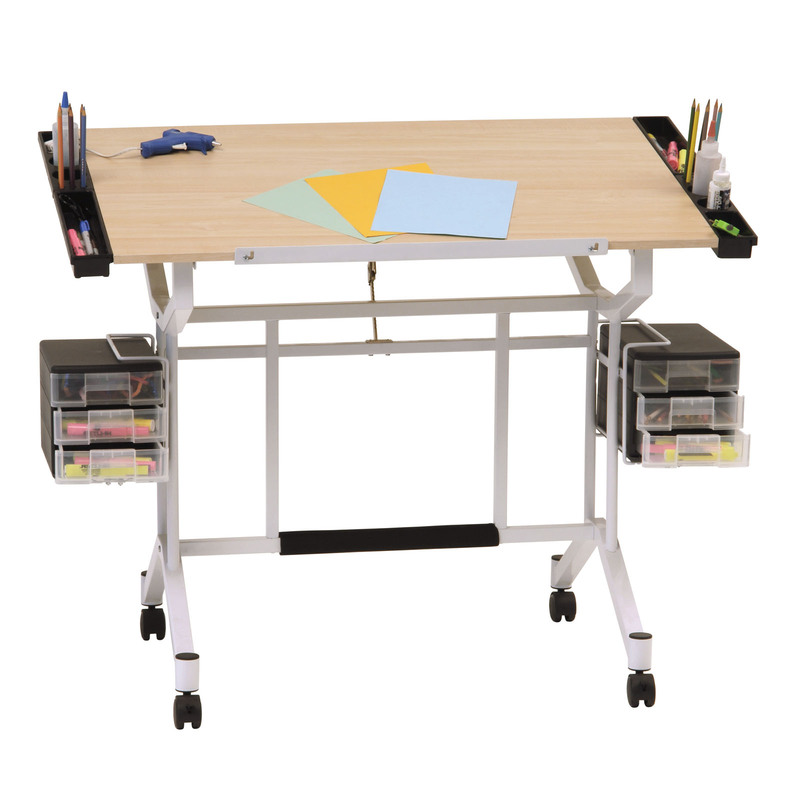 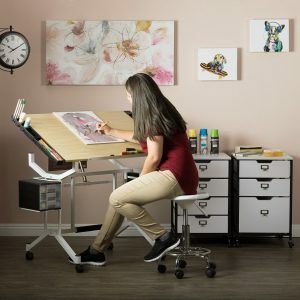 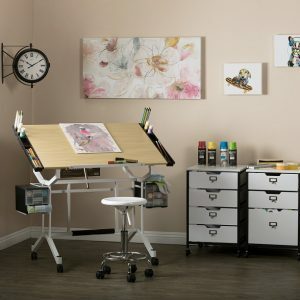 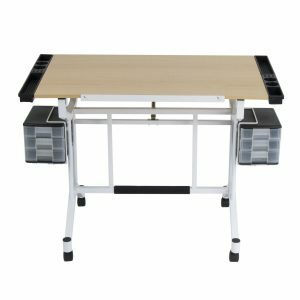 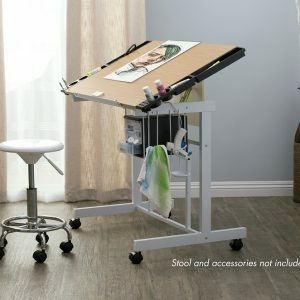 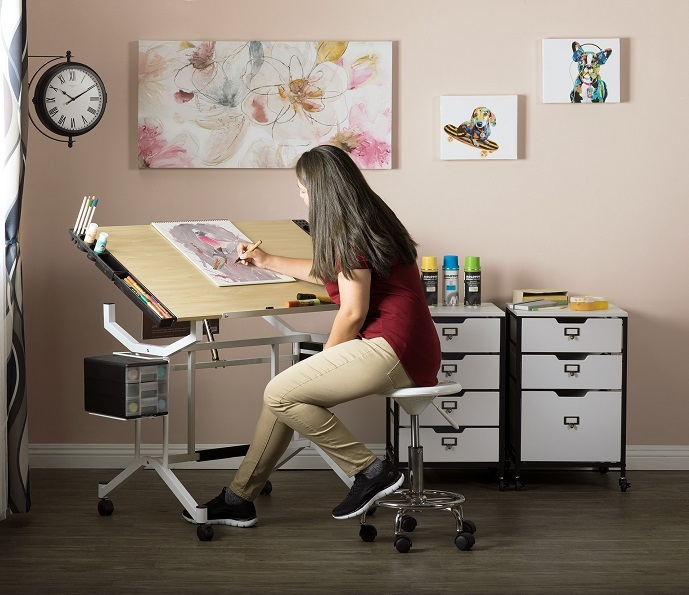 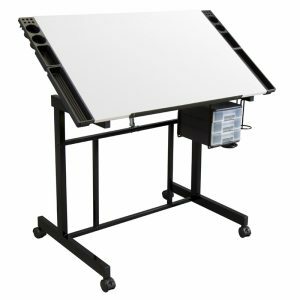 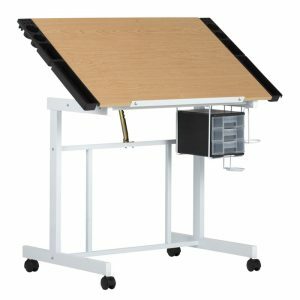 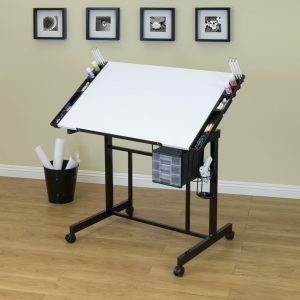 The Pro Craft Station provides an ample 38"W x 24"D workspace and stores all of your supplies and accessories. 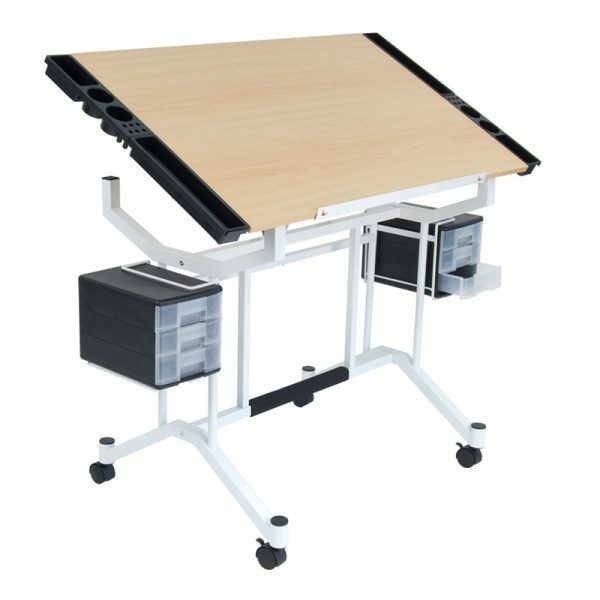 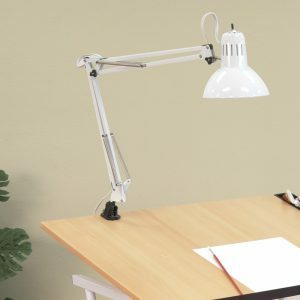 The tabletop adjusts up to 45 degrees. 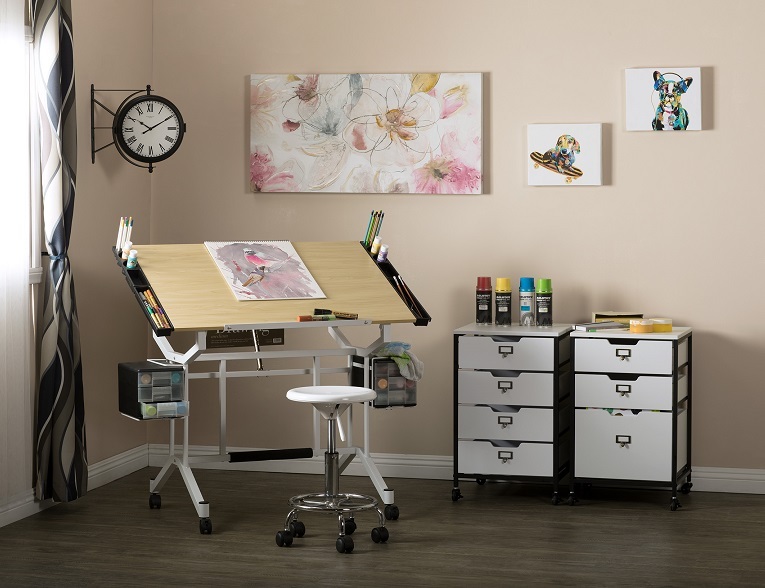 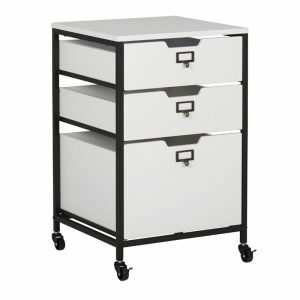 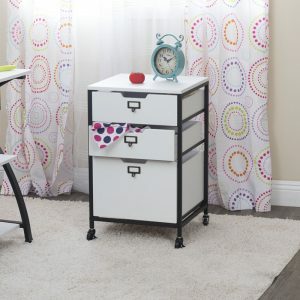 Four removable side trays and two three-drawer storage shelves with adjustable height keep your supplies organized and accessible. 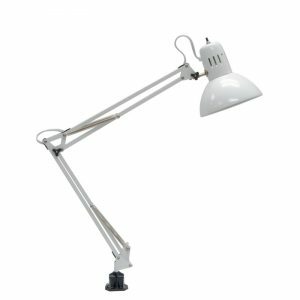 This model is the same as #13245, but ships with an extra, outer cardboard box for added protection.